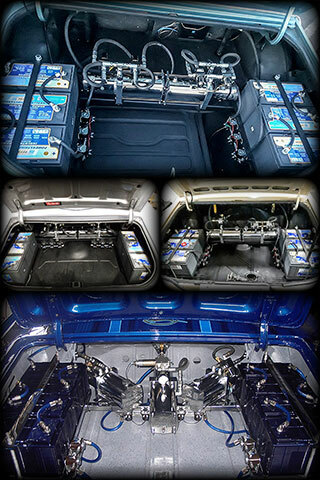 RS Hydraulics is equipped to design and build custom systems for virtually any vehicle. Email contact@rshydraulics.com a or use our Contact form to get a detailed quote. Our staff designs, builds custom hydraulic & air-ride suspension systems for virtually any type of vehicle. From spotless, classic restorations to rough & ready hoppers, pick-up trucks & daily drivers you can trust RS to develop the right system for your needs & budget. 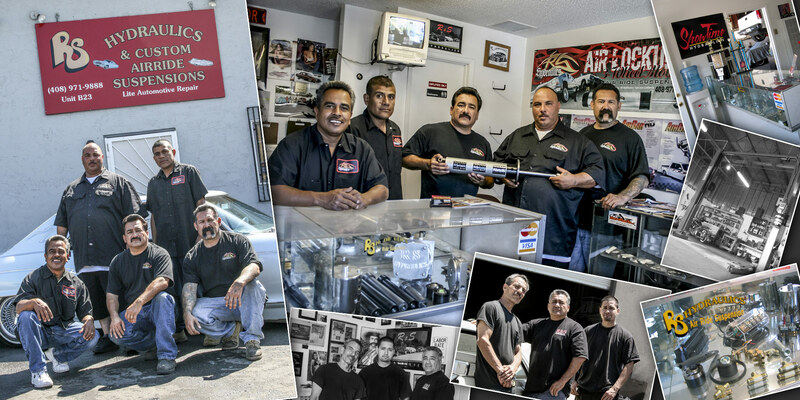 Our shop has over 30 years of experience providing quality, custom builds, installations, restorations & more. RS can service, upgrade or repair virtually any type of hydraulic or air-ride system. We also offer light automotive repair. We work with leading manufacturers & suppliers to provide everything you need to build, upgrade or repair your system. 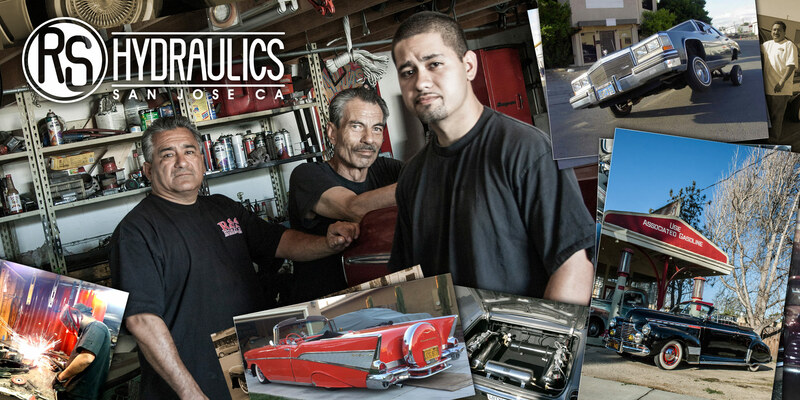 RS Hydraulics has been on of the leading Bay Area providers of custom hydraulic & air ride suspension systems for over a decade now. 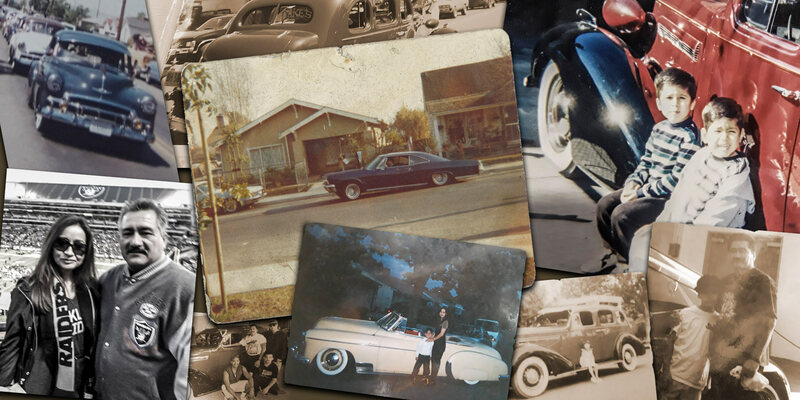 We are a family owned & operated business with generations of experience in the industry. If it can be done, we can do it here. 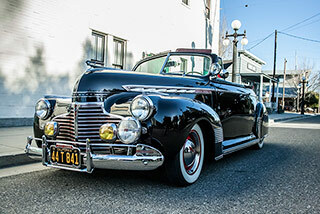 Many of the finest, award winning rides in the bay are running systems designed & installed in our San Jose shop. 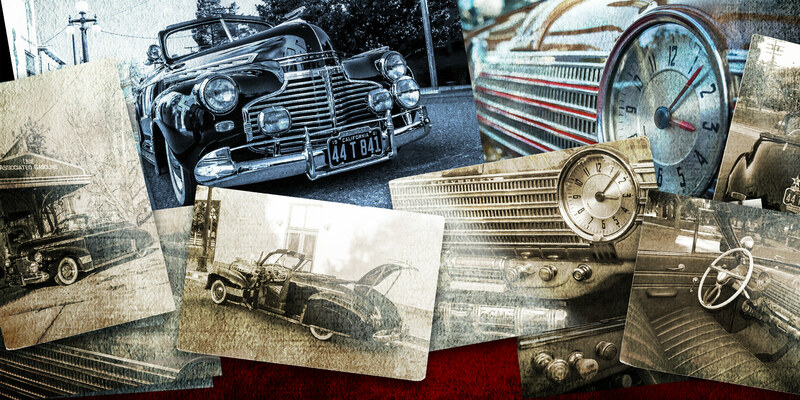 We frequently sponsor & organize car shows & events & stay rooted firmly in the culture that inspires our craft. 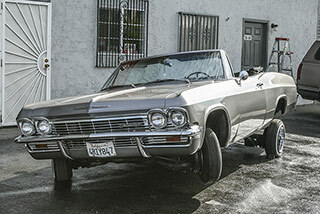 We have been blessed enough to be featured several times in magazines like Lowrider© & Streetlow® Magazine and our shop actually holds several patents. At RS Hydraulics we don't just install, we innovate. Our shop carries high quality parts & equipment from leading manufacturers & distributors. 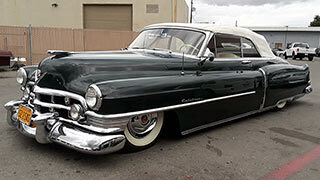 Check out our Parts section to learn more.